Which visits are past due. 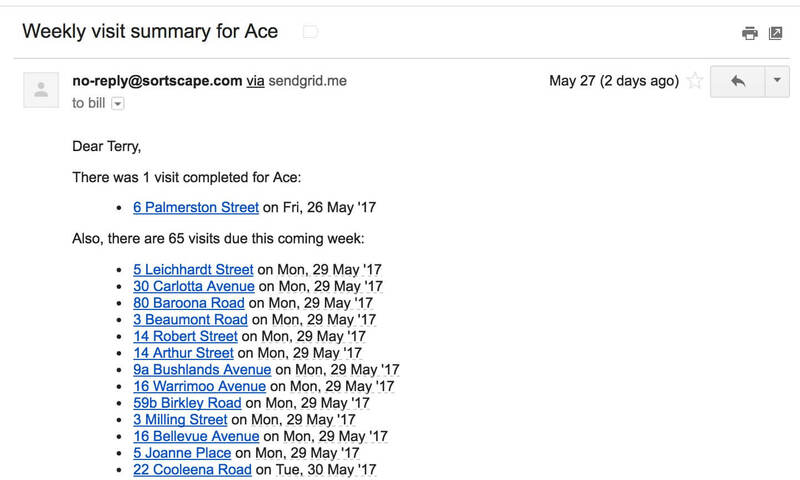 The weekly summary email shows you activity on your SortScape site over the past week. The administrator for your SortScape site will be auto-subscribed to the weekly summary email. Learn more about managing your weekly summary subscription in our documentation.